There is a picture getting shared on all social media platforms that are attracting a lot of attention. Some are quite pleased to see it, while others are disappointed that it even got out. Shared and tweeted by many, PTI’s Ali Zaidi was one of the first people to present it to us. Either marking the power of justice or highlighting the ease of security breach the picture is of Hussain Nawaz while answering to the JIT panel. 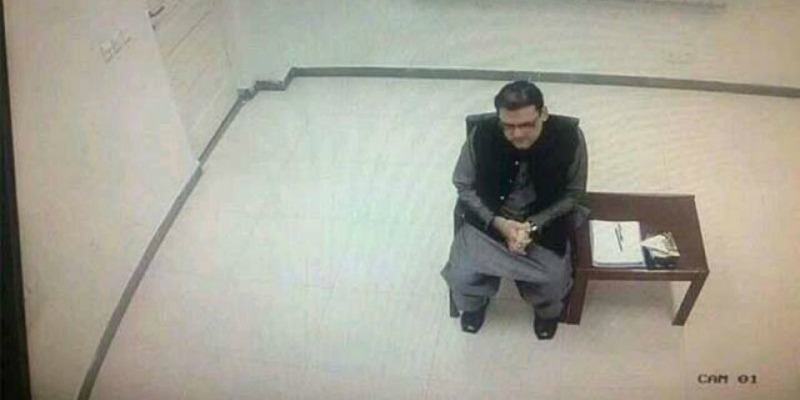 The picture, which is taken from a CCTV footage of the room where JIT holds and questions its suspects and those involved, shows Hussain Nawaz sitting on a chair, with a small table placed beside him. The table contains his files, pens, and a tissue box. The shot of this CCTV footage is when the JIT panel first called Hussain Nawaz in for questioning. Now, people may try to figure out what is going on by reading the body posture of the Prime Minister’s son, but more can be said about this picture as people reacted on different platforms. Hussain Nawaz left the venue in anger as he had to wait more than 3 hours to start the session, and later he also claimed that he was called on a short notice of just 24 hours. Hussain Nawaz also told media that if such behaviour continues then he would be forced to go to the Supreme Court for this. 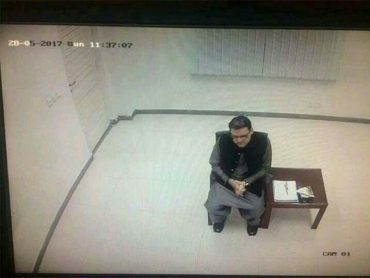 Although the decision of JIT is still a few more weeks away, people are already starting to react just by seeing this picture. Should All Members Of The Sharif Should Be Called Upon To Present Their Version Of The Story? Government Luxuries Being Used For Private Matters? Not Sure If This Sarcasm, What Do You Guys Think? Respect for Hussain Nawaz has increased after the leaked photo. More From Our Very Own Najam Sethi Sahab! Up till now, Hussain Nawaz has been presented to the JIT panel around 4 times and it may continue with more people being asked to present themselves in front of the panel for questioning. The JIT has to present its final verdict to the Supreme Court in no more than 60 days so that a final decision can be made by the judges.